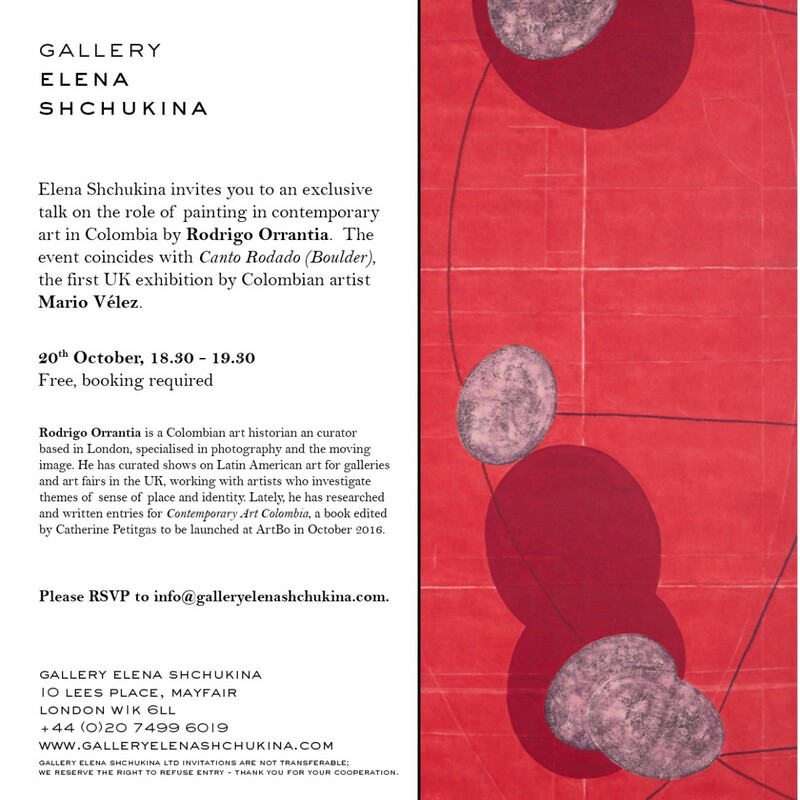 Gallery Elena Shchukina is proud to announce an exclusive talk on the role of painting in contemporary art in Colombia, by Rodrigo Orrantia. The event coincides with Canto Rodado (Boulder), the first UK exhibition by Colombian artist Mario Vélez. Rodrigo Orrantia is a Colombian art historian and curator based in London, specialised in photography and the moving image. He has curated shows on Latin American art for galleries and art fairs in the UK, working with artists who investigate themes of sense of place and identity. Lately, he has researched and written entries for Contemporary Art Colombia, a book edited by Catherine Petitgas to be launched at ArtBo in October 2016. The event is free but booking is required, please email info@galleryelenashchukina.com to reserve your place.